At the Parker, Colorado dental office of Rodney L. Allen, DDS, we do our best to provide affordable dental services that fit our patients’ budgets. We know how important dental insurance coverage is when it comes to delivering affordable dentistry services, and our knowledgeable team members work with insurance policies regularly. We have the expertise to help patients understand their benefits and maximize coverage, so they never have to worry about their insurance plan when they work with our team. For patient convenience, we offer in-network coverage with a number of dental benefit plans, including BlueCross BlueShield. If you have dental benefits through BlueCross BlueShield or any other PPO plan, please let Dr. Allen or a member of his team know. We’ll partner with you from the very first appointment to help you maximize your dental benefits. If you want to learn more about your BlueCross BlueShield dental benefits, please don’t hesitate to call our friendly, knowledgeable dentistry team today. We’ll be happy to answer your questions or schedule an appointment for you to visit our Parker dental office soon. Your BlueCross BlueShield dental benefit plan represents an individual agreement between you and your insurer. That means that every patient’s insurance coverage will vary. Like the majority of dental insurers, BlueCross BlueShield emphasizes preventive care. That means you’ll receive the largest percentage of coverage, 80 to 100%, for preventive dental care. Minor restorations like fillings receive slightly less, between 70 and 80%. Major restorative dentistry services like dental crowns and dentures receive 50 to 70%. Other dental services like orthodontics and oral appliances may also be covered by some plans, but we will need to review your specific policy to provide estimated coverage for these treatments. Because we’re in-network with BlueCross BlueShield dental insurance plans, you can rely on us to clearly explain your coverage, provide accurate out of pocket cost estimates, and thanks to our standing relationship with your insurer, you’ll always pay the lowest price for your covered services. If you ever want to learn more about your dental insurance plan, Nicole is here to help. 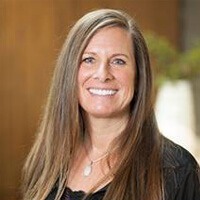 She has worked with our team for nearly two decades, and she has more than twenty years of dental field experience total. 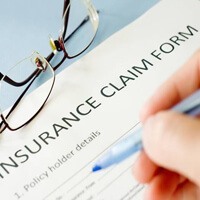 Our office is lucky to have an expert with so much experience handling dental insurance claims. Nicole looks forward to helping your make the most of your dental benefits, so please don’t hesitate to give her a call if you want to learn more about your BlueCross BlueShield dental insurance policy.